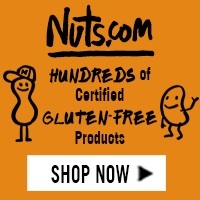 I’ll be updating this page weekly with the latest gluten-free deals and coupons. Prices can change anytime, so be sure to double-check before you click to buy! Head over to Celiac and the Beast’s gluten-free giveaway round-up page. Coupons for gluten-free foods – Just click to print them. You can print each one twice! This post includes affiliate links. See my disclosure policy here.